Scenic River Cruises have taken what you’d expect from an all-inclusive river cruise & escorted tour to a whole new level. Absolutely everything is included in the price of your holiday, even the luxuries you’d presume to pay extra for. With no hidden extras and complete transparency from the minute you board, you’ll soon find that the only surprises on a Scenic cruise are the good ones. 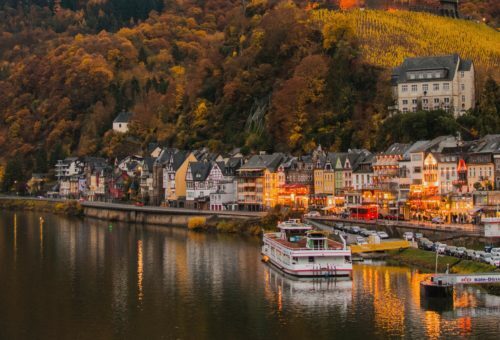 Whether you’re enjoying a cocktail on your private balcony as you sail through the picturesque Rhine, dining with new friends in any one of our on board venues, or getting ready to disembark for a day of activities in a new destination, rest assured you won’t pay a penny extra for the pleasure. Forget about additional travel costs and don’t fret about budgeting for ‘optional’ onshore experiences – our all-inclusive service will take care of your every want and need. If there’s anything else we can help with, just ask your private butler.